We work with OEMs to reduce cycle time and material cost on their office equipment applications by engineering specialty brush and sealing products. Custom designed brushes are used to prevent build up of paper dust, ink residue, talc and other contaminants in an office environment that can reduce the performance of printing equipment. Paper pick and feed roller cleaning brushes. Wipers for optical feed and position sensors. Fiber Texture, type and density can be adjusted to provide and aggressive or fine cleaning mechanism to suit a wide range of surface conditions. Secondary assembly and integrated mounting configurations are also available to reduce cost, design complexity and increase throughput. 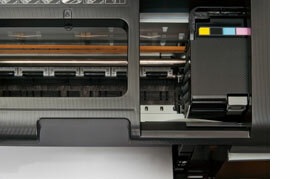 Toner seals provide superior performance when compared to using standard brushes in a toner cartridge assembly. 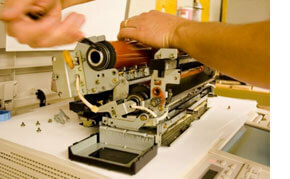 Swept direct of fibers helps retain toner particles more easily, thus enhancing image quality. Low friction materials provide less resistance against feed rollers, or photoreceptor drums. With a varied range of thicknesses to choose from, a custom configuration can be designed to provide the proper gap sealing for any design. 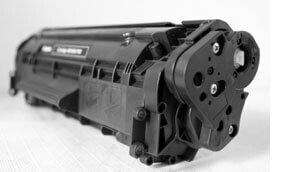 Roller brush configurations can be developed for mechanical systems within photocopiers and toner printing units for static elimination, OPC charging, toner removal or cleaning, as well as acting as a transfer brush during the printing process. High grade materials are used to ensure proper functioning whether a specific charge, resistance or low friction configuration is required. Custom designed ESD brushes can be designed to remove static charge during the printing process or during post processing such as stacking, folding or binding. Feed tray static elimination brushes. 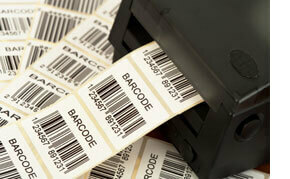 Static elimination in thermal label and receipt printers. Kiosk / POS card swipe assemblies. 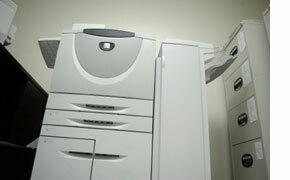 ATM printers and cash dispensing assemblies. Paper tray enclosure compression and leaf seals. Kerf, dart or clip mounted pile seals.